Bacterial leaf spot on peppers is a devastating disease that can cause disfiguration of the leaves and fruit. In severe cases, the plants may die. There is no cure once the disease takes hold, but there are several things you can do to prevent it and keep it from spreading. Keep reading to learn about treating pepper leaf spots. What Causes Bacterial Leaf Spot of Pepper? The bacterium Xanthomonas campestris pv. 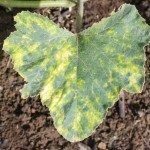 vesicatoria causes bacterial leaf spot. It thrives in areas with hot summers and frequent rainfall. The bacterium is spread by plant debris in the soil and through infected seeds. Bacterial leaf spot causes lesions on the leaves that look as though they are soaked with water. These lesions normally begin on the lower leaves. As the disease progresses, it leaves a dark, purple-brown spot with a light brown center. Bacterial leaf spot on peppers causes spotting and raised cracks in the fruit. The cracks provide an opening for other disease pathogens. There are no pepper varieties that are reliably resistant to all of types of peppery leaf spot, but planting varieties that are resistant to some of the races may help prevent the disease. Insecticides containing copper are also useful in preventing the disease. 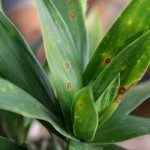 In most cases, however, once the disease appears, copper isn’t effective in treating pepper leaf spots. Use insecticides containing copper early in the season when you’ve had problems with the disease in previous years. Of course, once the symptoms of bacterial leaf spot begin to appear on your pepper plants, it’s too late to save them. However, if you take precautions before planting next season, you’ll have a better chance of preventing peppery leaf spot problems in the future. 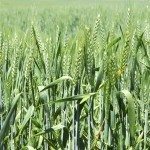 Crop rotation can help prevent bacterial leaf spot. Do not plant peppers or tomatoes in a location where either of these crops has been grown in the past four or five years. At the end of the season, remove all crop debris from the garden and destroy it. Do not compost plant debris that may contain the disease. Once the area is clean of all visible debris, till the soil or turn it with a shovel to bury any remaining bacteria. The bacterium is spread by splattering damp soil onto the leaves. Reduce the splatter by using a soaker hose and avoiding overhead watering. Stay out of the garden on wet days to avoid spreading disease on your hands and clothes. Bacterial leaf spot is also spread through infected seeds. Buy certified disease-free seeds and seedlings. It’s best not to save your own seeds if you’ve ever had a problem with bacterial leaf spot on peppers.